Financial organisations are becoming increasingly dependent on their IT systems and a variety of software applications to provide a smoother and more efficient service to their customers. From data analysis to planning investments to trading activities, traders, asset managers, and analysts will rely on either a customised or off-the-rack software to help them make better, faster decisions, and to perform better. 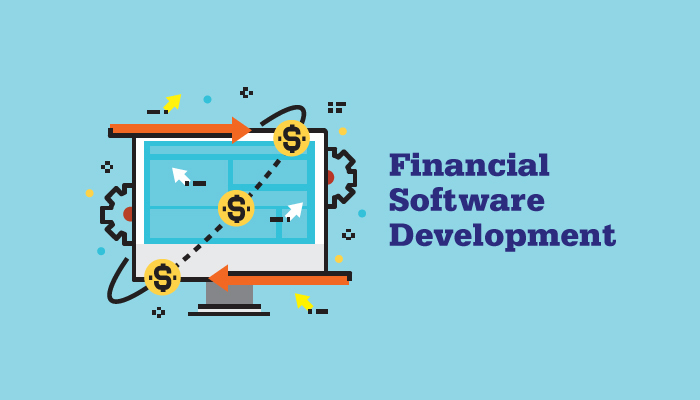 Recognising the importance of financial software development in order to stay ahead of other industry players, most financial institutions do invest in an in-house software development team to maintain and develop the software that their colleagues need. With Singapore recently introducing the iN2015 Masterplan and aiming to become one of the top three Knowledge Process Outsourcing/Offshoring hubs in Asia Pacific for the development and processing of financial services, this industry has gained even more importance. Graduates entering this industry are typically hired by specialist software development companies or major financial institutions, where they usually start off their employment with a period of training – whether a structured graduate programme with rotations, or training with mentorship – that lasts for three to six months. You will be expected to learn on the job even as you are coached by your senior colleagues, and the learning curve can be quite steep. Given that this industry is an intersection of sorts between IT and finance, you’ll find yourself working in projects with complex mathematical models, large data sets, distributed and high speed systems, as well as information security measures. Depending on the complexity of your client’s requests and the scale of it, these projects can take a few days to a few years to complete – and it can also affect other aspects of your working environment (e.g. the size of your team, etc.). Most developers are usually involved in several projects at one time, both long-term and short-term ones; so if you’re not working on large back-end systems or new software that might take years to complete, then you are likely to spend a chunk of your time on simpler projects like upgrading existing systems to make it even more efficient and user-friendly (e.g. simpler graphical interfaces (GUIs)). This industry is also always looking for new ways to push the boundaries of technology and to solve problems presented by their clients, so you’ll find a lot of fun and excitement experimenting with old and new tech solutions. The fast-changing trends in the IT industry also causes the business atmosphere to be a very fast-paced and variable one. In terms of career progression, you can opt to develop yourself in either a technical or managerial role, with plenty of opportunities for rapid career development. Employers in this industry tend to hire graduates with mathematical, computing, engineering or scientific academic background, although graduates from other disciplines trained in IT can apply as well. Don’t forget to develop soft skills to complement your technical knowledge. While your technical skills are necessary to help you complete your tasks effectively, soft skills are what makes you efficient. Flexibility is one important trait that you need to have if you want to work in this field as frequent changes are the norm here – e.g. the clients’ requirements, new technology solutions, and regulations introduced. Having a problem-solving mindset is equally crucial, as well as a thorough approach to your work. Always make sure to consider your client’s request from various perspectives so that you can always suggest the best solution to them. Keep an eye out for upcoming finance technology (FinTech) solutions and R&D as well. Many financial software developers enjoy being able to work with the best of two worlds: the IT and finance industry. Working in this industry lets you keep up with the latest technological development as well as understand the latest financial market trends, and how both can impact each other. If you’re an IT graduate with an interest in finance but do not necessarily want to work in a bank, then this is the job for you. You may also regularly come across demanding clients, and your work may be made more complicated by the constant development of technology, but if you like a challenge, then you will find a lot of enjoyment working in this industry. What if you arrive to find not one – but two or more people waiting to interview you? Here’s how to navigate panel interviews. If an employer requests a résumé, they normally want a cover letter to. Don't let go of this bonus opportunitty to showcase your skills and enthusiam – it can make a big difference to the success of your job application! Here’s Part 1 of gradsingapore’s A-Z jargon guide for graduates to understand key terms used in the financial services and banking industry.